One of my favorite holidays is coming up soon, and that’s because everyone partakes in the fun crafts of Easter decorations. Today, I’m sharing a few Easter crafts – beyond the classic egg decorating that everyone does – that I will enjoy doing with my family this year. For a fun Easter holiday weekend with family, these crafts will help you get your home ready to entertain. Whether you often do DIY projects are are new to crafting, these simple craft ideas can make your house look festive for the Easter holiday. Not only will children enjoy these ten crafts, but adults will also find these interesting to make. To get directions on how to make each craft, simply click on the link in each description. To create a Easter basket stuffer with an adorable presentation, check out these paper bunny treat bags. With these cute bunnies, you can turn plain chocolates into a gift that children will remember. 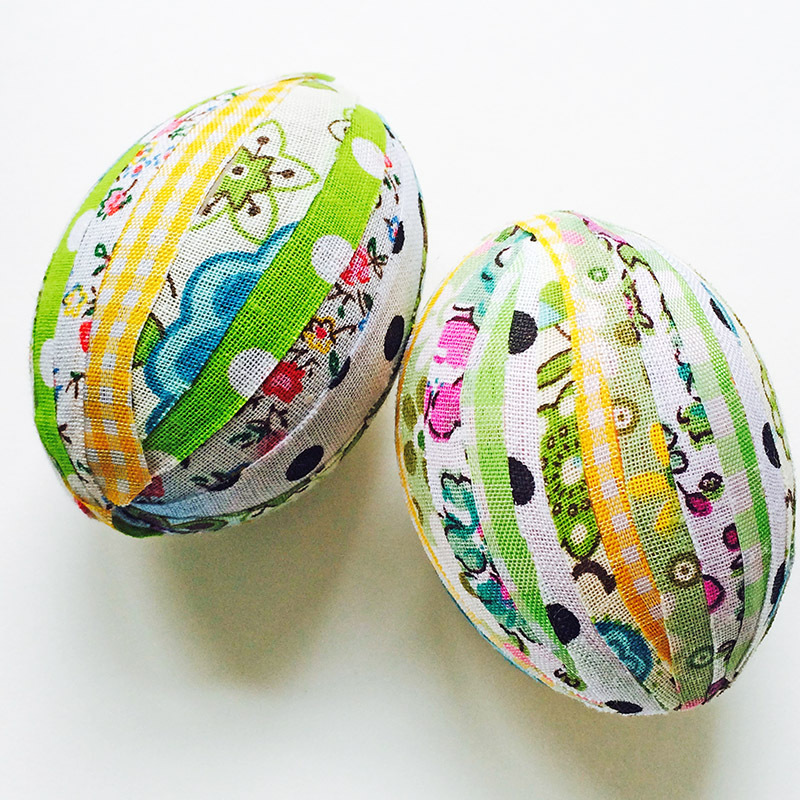 For a colorful decoration, check out the No Sew Patchwork Fabric Easter Eggs. Not only are these vibrant eggs beautiful decorations for the home, but they are also simple to create. Even children can help put these together. With Adult Coloring Books Easter Eggs, you can turn a adult coloring book page into part of your Easter decor. Providing excellent insight into Easter crafting, this article also shows the pros of working with crafting eggs instead of real eggs. 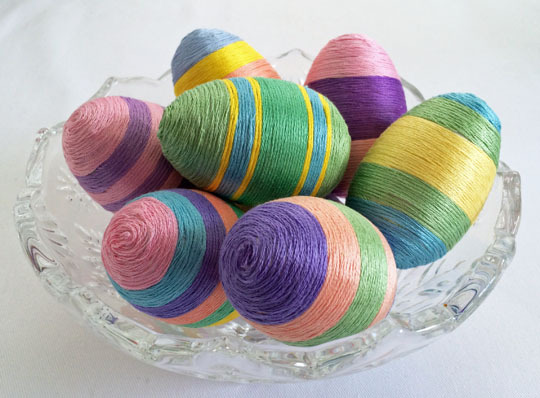 For beautiful, vibrant decorative eggs, check out these Embroidery Floss Easter Eggs. With lines arranged in different colors, these have a lovely appeal that adds a pop of spring festivities and happiness to your decorations. 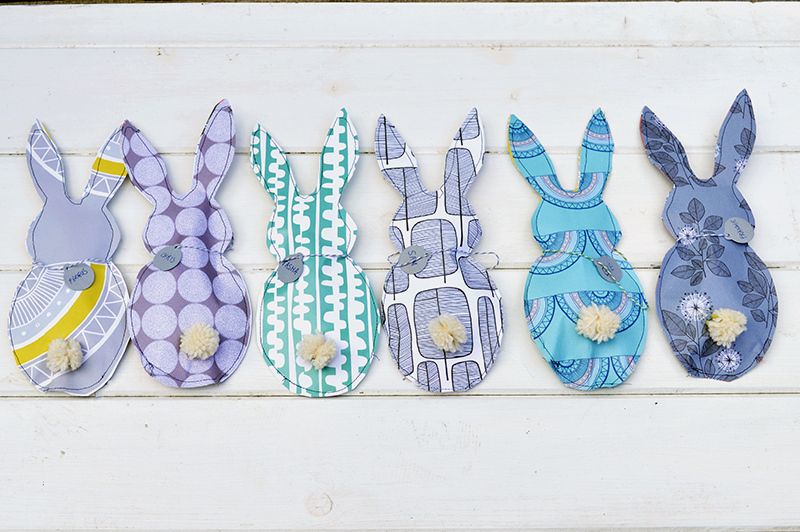 To add a festive touch to your mantel or wall, create an Easter Bunny Banner. With soft pastel colors and a 3D bunny tail, this banner will bring your home to life. 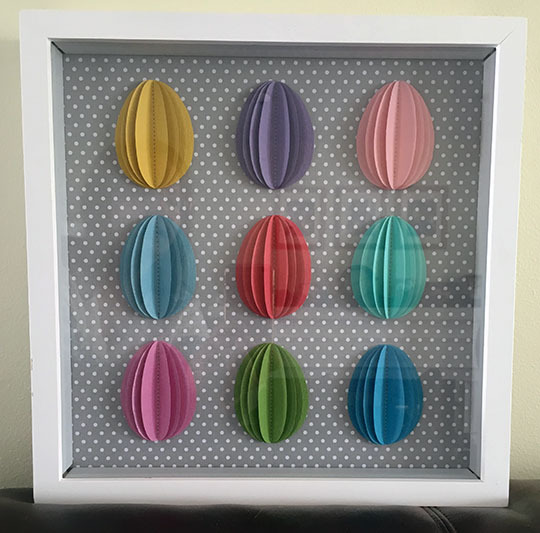 For pretty wall decor, create a 3D Easter Egg Shadowbox. Not only would this shadowbox look perfect in the children’s room, but it would also look nice in any room in your home. 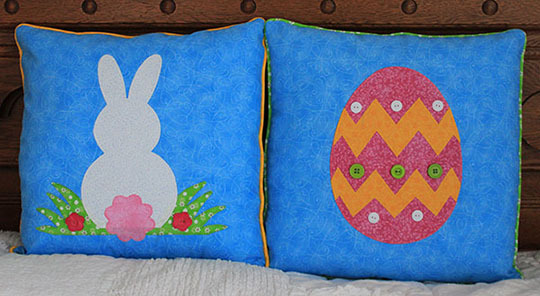 For a simple sewing craft, check out this Easter Bunny Pillow Tutorial. With the easy-to-follow instructions, you can make your own adorable pillow. Even if you don’t have much sewing experience, the directions show step by step what to do, to help make this DIY craft more simple to do. Create these Unique Cement Eggs for a lifelike centerpiece. 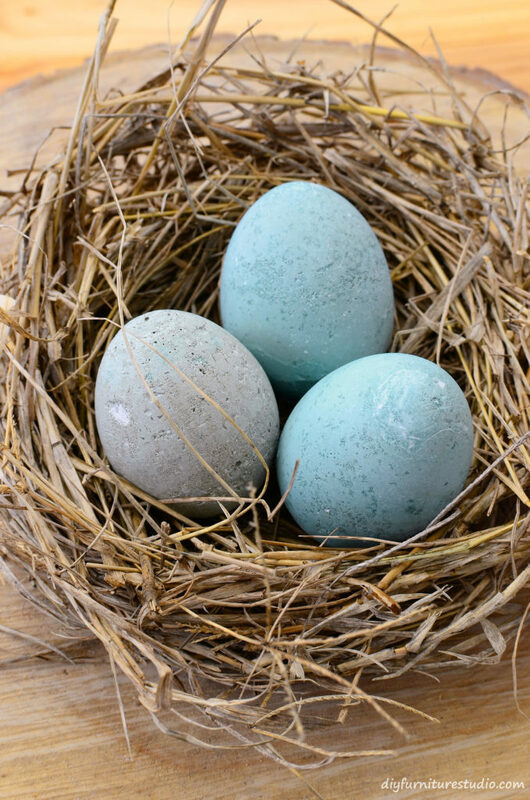 With the delicately speckled coloring, the eggs have a nice texture that brings them to life, especially if you place them in a nest of twigs and branches. If you want to go green this Easter, create your own DIY Easter Baskets. With this tutorial, you can learn how to make an easter basket out of a recycled cereal box and a milk jug. I would have never thought to use these materials in this way! It’s a creative idea well worth trying. 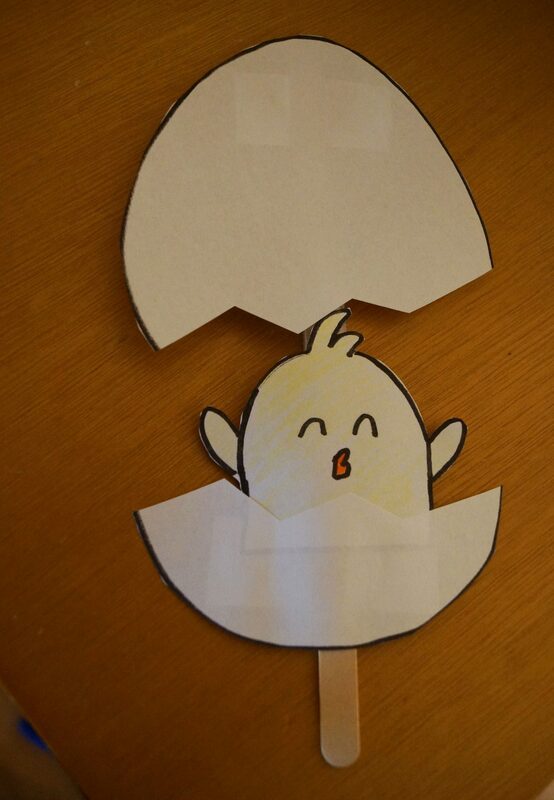 For a simple craft that children will enjoy, create a Peep Egg Puppet. Use the free printable and supplies you already own to design a puppet. 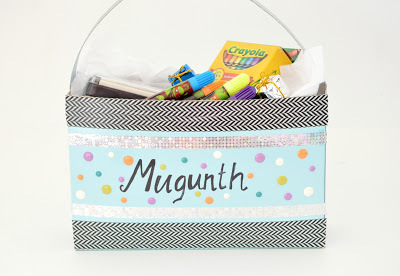 If you have a children’s art table during your family’s Easter event, this craft would go over well. If you enjoyed this post and would like to come back to it later, Pin it with the below graphic. You can also send this to your friends using the share buttons at the bottom of the article. What are your Easter plans this year? Share in the comments! This was originally published on March 31, 2017. A lovely collection of crafts, I like the colouring book eggs. Thank you for featuring my fabric eggs and paper bunny treat bags. I love the adult coloring book easter eggs! That is totally something I want to do! Cement eggs are also a fabulous idea! These look so fun! I love doing little crafts with my daughter, so we will have to try out some of these. Oh-my-goodness! That Easter Bunny Banner! Love how cute it is, especially with the 3D bunny tail! Adore that detail! These are so cute! I especially love the bunny bottoms, with the fluffy cotton tails! When we were kids eggs were just dipped in dye. I love how the design process has evolved so much! Easter is my favorite holiday! I would love to make a few of these and surprise my toddler. The banner is adorable. These are such cute crafts! 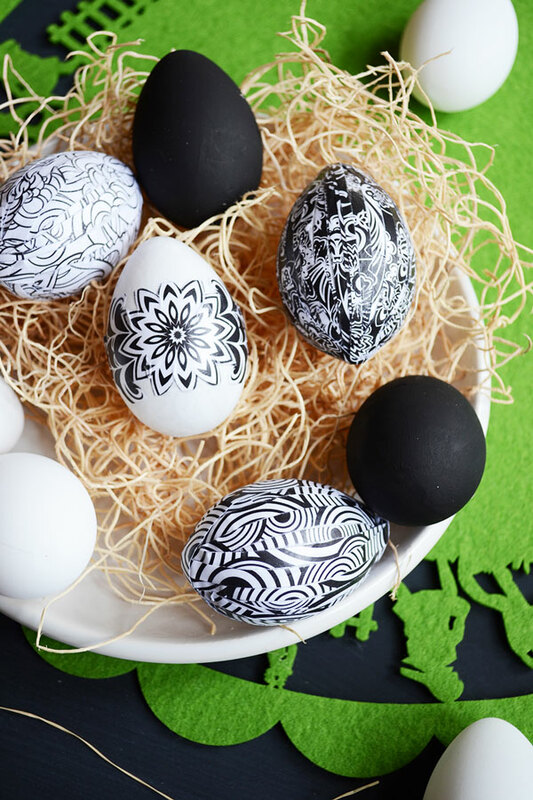 I love the idea of using adult coloring book pages to create eggs. Also at Target today I saw eggs that had twine on them, much like the embroidery thread egg! Those will be so fun to create! Super cute ideas. I love banners, so I would probably want to do this one. I love the little pop up, though, how cute is that! 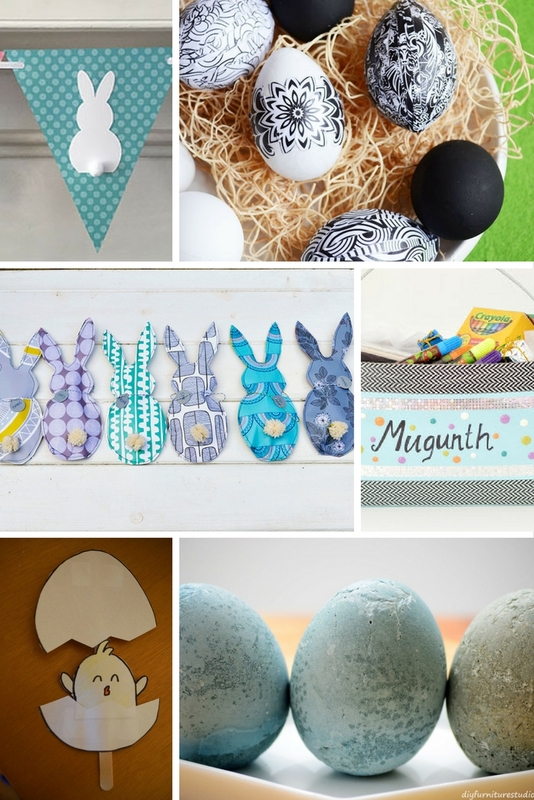 Such cute Easter craft ideas! I love the embroidery floss eggs. I have some craft twine, not the same thing I know, but I could probably use that to make those! I love all the options but my absolute favourite is the one made with the adult colouring books. Just perfect for my house! What a great roundup. My favorite is the adult coloring book eggs! I would love to give those a try! These crafts are so creative and fun. There’s something for every age group, so you can find one that the kids will like. These are great crafts. Thanks for lining up a fun week for us leading up to Easter! Oooo so many fun easter crafts!!! It’s suppose to rain here all this week so it’s the perfect weather for easter crafting! Love the patchwork eggs! I made some just like it last year with my daughter. She enjoyed it. I love making arts and crafts with my daughter especially when we’re celebrating a holiday. These are all lovely ideas! I would love to try some of these! Love all the ideas. The cement eggs are my fave. Love these ideas? Starting early for Easter this year! !